"Had it not been for Cecily's Fund, I wouldn't have had an opportunity to be educated." Esther Chitambala, 20, is an intern for the Copperbelt Health Education Project (CHEP), a longtime partner of Cecily's Fund in Zambia. Next, Esther hopes to be able to train to be a nurse at a college in Western Province - her future looks bright. The situation hasn't always been as positive for Esther. She has overcome dramatic challenges to reach this point in her life. That she has come so far is testament both to the impact that Cecily's Fund support can have, and to the incredible tenacity and determination of young Zambians like Esther. Esther was born in Mufulira in 1999, and her father passed away when she was just 11 months old. Her mother, lacking education and suffering a serious loss of income, could not provide for Esther and her four older siblings. The family moved to Kitwe in order to live with Esther's aunt. These years were very difficult. Esther's aunt was diagnosed with cancer, had to have her leg amputated and could no longer work. "When I started going to school", Esther says, "my mother could not afford to get me a school uniform and shoes. My friends would tease me and that was a painful experience." Resolving to succeed in education, Esther worked hard and passed her exams. Her school fees, which her family could not afford, were paid by Cecily's Fund after she was identified as being in need. Upon completing school in 2017, Esther was trained by CHEP to become a Peer Health Educator (PHE). 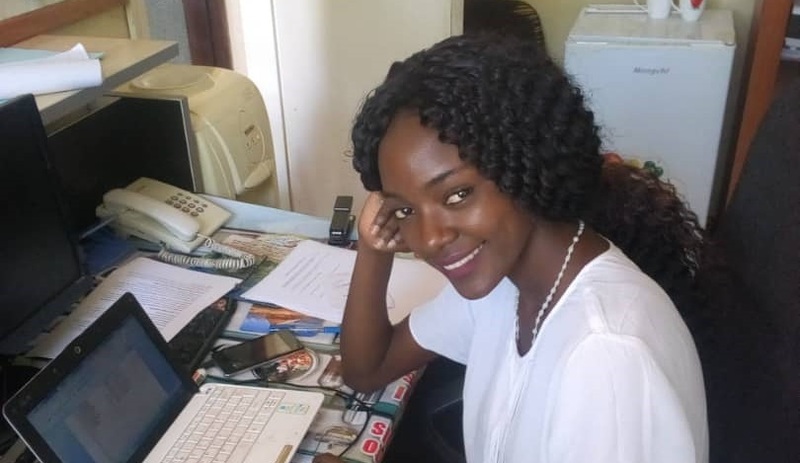 "I was able to reach out to my peers and educate them on health issues and the preventive measures of HIV and AIDS", Esther says of her time as a PHE. In addition to working in schools, Esther has tried hard to talk to her friends and family to help combat the stigma experienced by people living with AIDS. Having completed her time as a PHE and now working as an intern for CHEP, Esther has her eyes on the future. "I want to become a nurse because I want to care for people so that I can give back to my country", she says. "Cecily’s Fund helped me and I would love to help others through nursing."